Mitt Romney won the debate. Why does that matter? According to the Pew Research Center, the percentage of Americans who self-identify as Republicans, Democrats, and Independents is 24, 32, and 38, respectively. My father self-identifies as an Independent, which in his case means voting straight-ticket Republican. Most self-proclaimed Independents are not Independents at all, but rather people who believe that claiming party affiliation is unseemly or somehow leeches away their cherished independence of mind. Of course, this is perfectly nuts. Most of us are guided by a few core philosophical principles when it comes to how we think about national governance, and these principles can be reliably excavated with three simple questions. Question 1: Generally speaking, do you trust government more than the free market? Question 2: Does government have a wide-ranging role to play in modern American society? Question 3: Do we have a responsibility for the well being our fellow citizens? If your answer to at least two of these questions is no, you’re almost certainly a Republican; if yes, you’re probably a Democrat. With all this in mind, the spectacle of a presidential debate--wherein two already famous politicians trade modulated, highly rehearsed answers on topics everyone already knows their opinions on--is patently absurd. 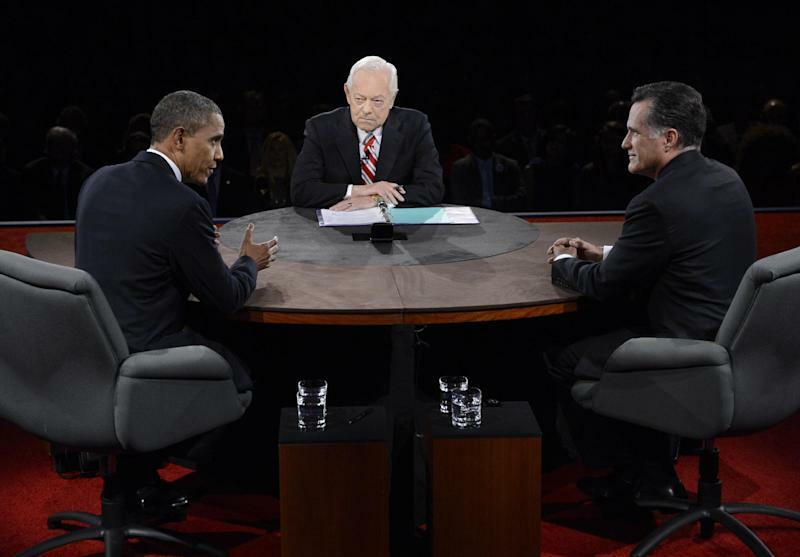 The debate is a profoundly old (one might even say primitive) form. What’s older than the debate? You’ve got war, poetry, painting on walls, prostitution, and that’s pretty much it. There are far better and more accurate ways to get to know a candidate, so what do modern debates actually accomplish? In a nation as symmetrically divided by its internal politics as ours, the modern presidential debate is intended to do three things: Own the chattering-class media narrative for the next week or two, inflame the passion of partisans, and finally (not to mention most crucially) sway the opinion of those Americans who haven’t bothered to rub the sticks together inside their minds that will allow them to figure out who they want to vote for. For a long time, I figured presidential debates were yet another way for a bored, fading superpower to amuse itself. Who doesn’t know how they feel about Big Questions 1, 2, and 3, and how can they not then figure out which party best suits them? I realize that not everyone reads The Weekly Standard or The New Yorker or consults Talking Points Memo every morning, but still: In a world filled with tough questions, Republican or Democrat? is by no metric a tough one. 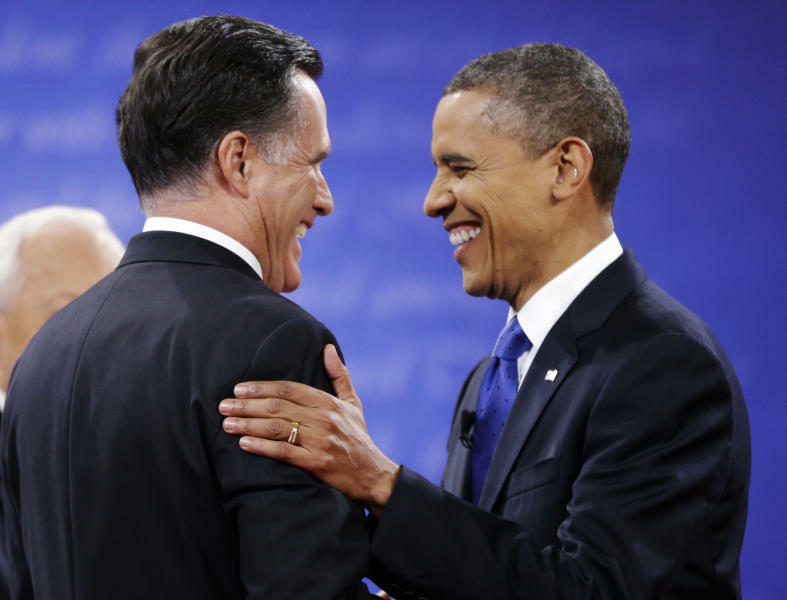 Full disclosure: I’m a Democrat who’ll be voting for President Obama, and I’m confident that in the coming days Romney’s answers and statements during the debate will be picked apart as having been frequently deceptive, wrong, and made in bad faith. I’m equally confident that the people he convinced to vote for him on Wednesday will probably not bother to expose themselves to these findings, or care if they do. The Undecideds among us were doubtlessly delighted to find both candidates’ personalities so vividly on display. When Romney spoke, we could smell the fine Corinthian odor of boardroom leather, whereas President Obama conjured up nothing so much as the quiet despair of classroom chalk. Mitt Romney came to this debate horrifically exposed to a Mortal Kombat-style “Finish him!” execution. Rather than give him the Raiden treatment, Obama flubbed the combo and let his opponent live on. In terms of substance, we learned nothing we didn’t already know, and in terms of quirk we learned exactly one interesting thing, which is that Romney likes Big Bird but is willing to kill him anyway. We also learned that President Obama’s famous charisma does, occasionally, depart him. Despite having written off slightly less than half of our nation as little more than parasitic zombie Democrats, Mitt Romney is suddenly likable again. President Obama, meanwhile, is bored and listless and on the run. That’s the narrative from here on out, even for those of us who know what we believe and why.